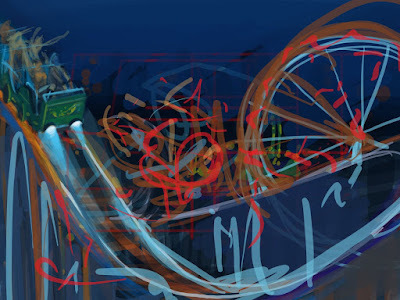 Unused set-design concepts for a feature animation while working at Genius3D an animation studio. 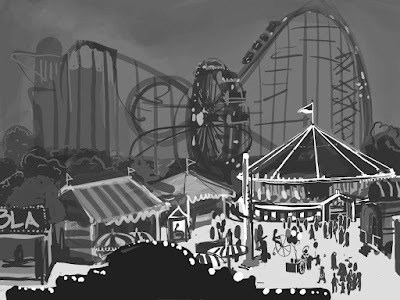 These are the first sketches for what would have been a 1930's amusement park, at night. 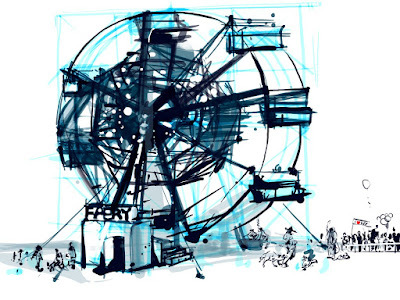 My job was to draw every single object for the 3D team, but before that some general layout concepts had to be approved. This all ended in tragedy, but I will talk about that some other time.